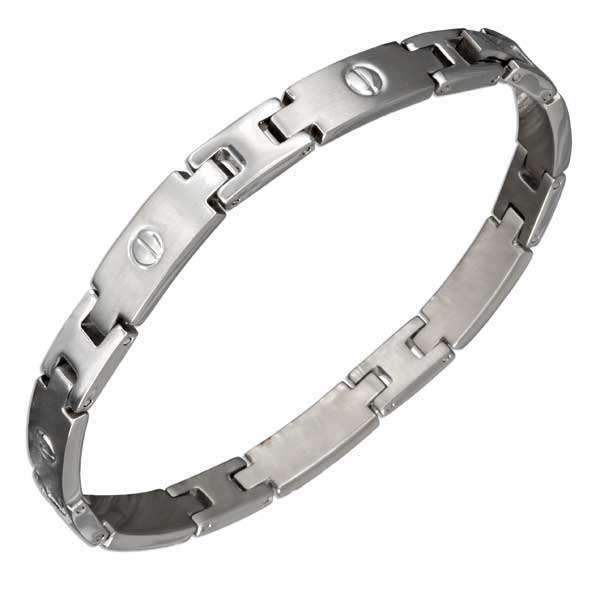 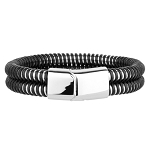 Minimalist and sleek, this highly polished men's stainless steel bracelet is just over ¼ inch wide and has a designer look. Each brushed bar link is accented by a polished stainless steel screw and a polished barbell-shaped link for a seamless look. 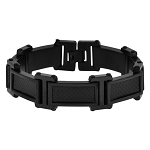 It has a latch clasp closure for added security.